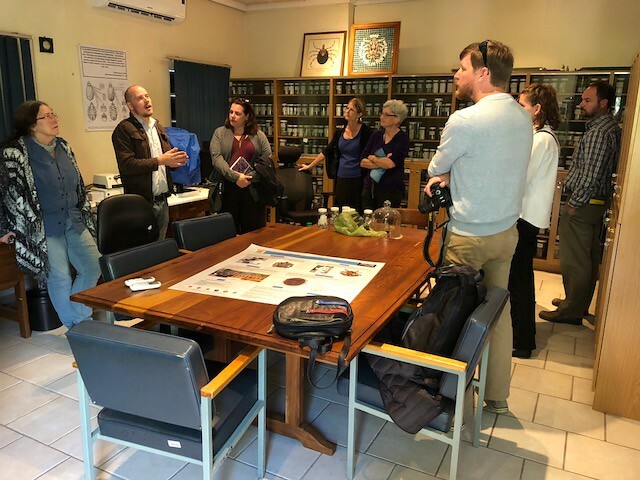 The 2018 International Faculty Seminar will take place May 14 - May 27, 2018 in South Africa. The seminar will be co-led by Dr. Elizabeth Ransom, Associate Professor of Sociology, and Dr. Martha Merritt, Dean and the Carole M. Weinstein Chair of International Education, and will be preceded by several months of personal research and on-campus presentations, during which the country will be studied through an interdisciplinary lens. Questions about the content of the Seminar can be directed to Martha Merritt. 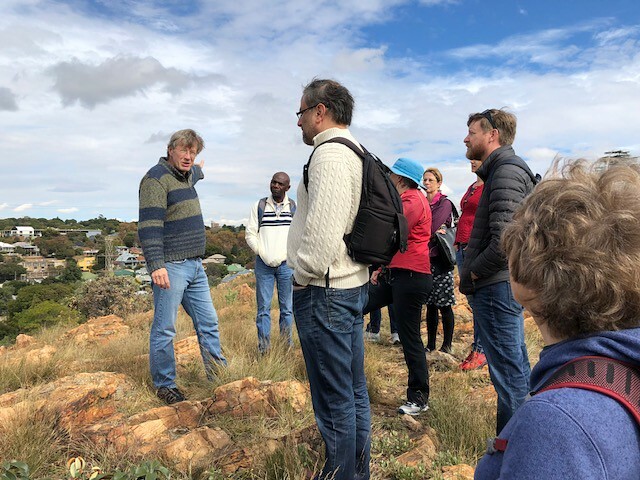 Day 1: Scholar Patrick Bond of University of Witwatersrand discusses Johannesburg\'s development with participants during the hike. 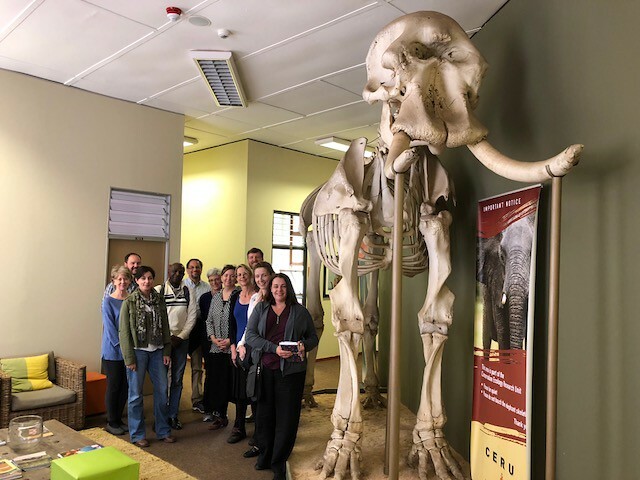 Day 2: Faculty Seminar participants pose with an elephant skeleton after a meeting with the Department of Zoology at University of Pretoria.